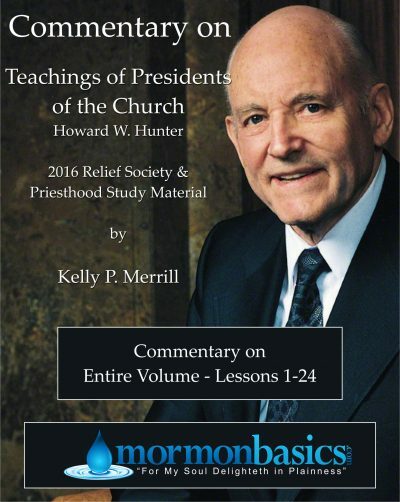 Please note that you are NOT buying the lesson manual published by The Church of Jesus Christ of Latter-day Saints. 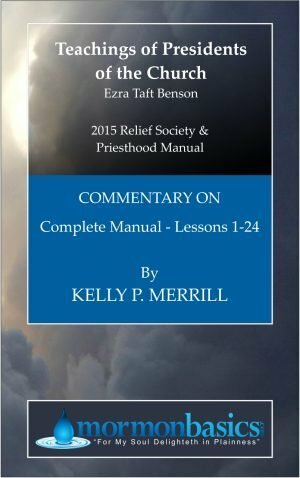 The actual lesson manual is free from the LDS Church. 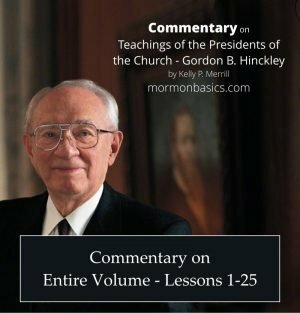 You ARE purchasing commentary added to these lessons to help in study and preparation. 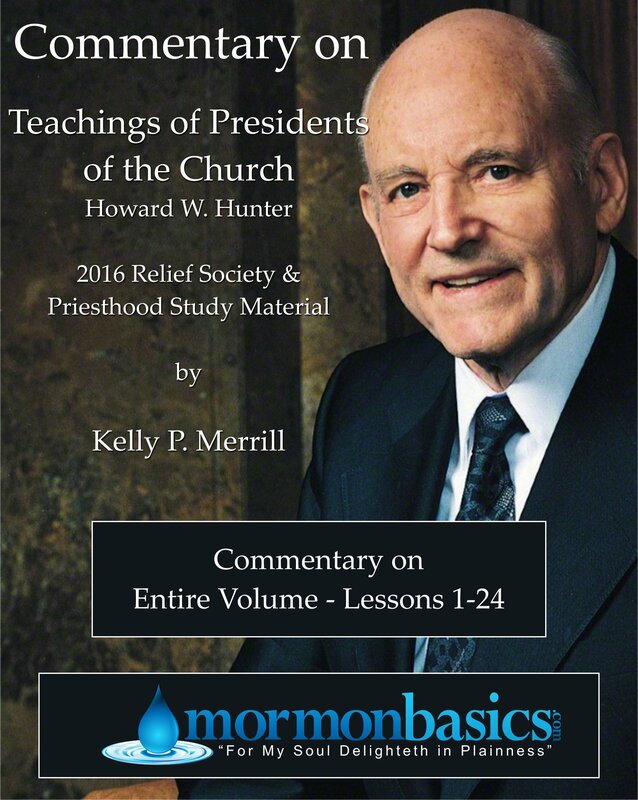 This is a digital download of a PDF file containing the entire set of 24 lessons for 2016. You have up to seven days to download your manual. It is a sad commentary on life that ease and comfort do not have the power to stimulate growth of character like trials and trouble do. If ease and comfort were the great teachers that trial and suffering are the Lord would have made earth life a giant picnic. As it stands, we have to be given hardships and tests instead. It is in the middle of the fiery furnace that we find our true nature, discover where our loyalties lie, and develop the attributes that make up a Christlike character. Without the flames of adversity we would continue to merely drift along on the stream of mediocrity. What kind of Father would He be if he only recommended that his children do this or that, as though He were somewhat impartial or indifferent to the outcome? The outcome of our lives means everything to our Father in Heaven. In that spirit of love He commands us to obey to drive home the point that there is no other way we can come home unless we do it this particular way. The commandments are a blessing, not a punishment. They are a show of love, not a show of dominance. “Surely the Lord will support us if we use our best efforts in carrying out the commandment to do family history research and temple work.” Isn’t it odd that any of us might even wonder if the Lord will help us in doing our family history research or in doing our temple work? We do it on His commandment. If the Lord has ordered that it be done, and that we do it on peril of our own salvation, does it not make sense that He will be opening doors for us to assist us in accomplishing this great work? God never commands anything that is not accomplished. If he says this work must be done, then every necessary thing will be made available to us to accomplish His work. Embedded within the question “And who is my neighbour?” (Luke 10:29), is the hope that some people will be excluded, making it easier to live the commandment. The Savior’s reply was the parable of the good Samaritan. 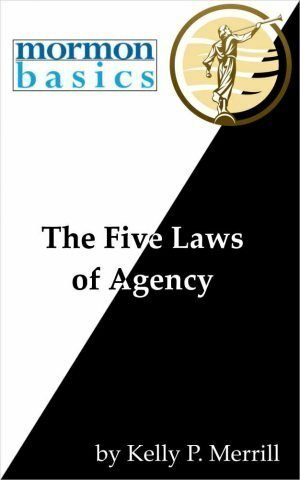 He taught the lawyer that everyone is our neighbor, friend or foe. All of humanity make up our “neighbor.” Since we are all literally brothers and sisters, and part of the same human family, this would certainly make sense. How could anyone possibly be excluded?